With periodic maintenance inspections, you’ll be able to catch small issues before they become big ones that are more expensive to repair. Taking care of these minor issues promptly will result in needing fewer repairs over time. When your air compressor breaks down, it can interrupt your production and set you back financially. With preventative maintenance, you can make sure your unit has everything it needs for smooth operation, including clean filters, plenty of oil, and effective hoses and fittings. 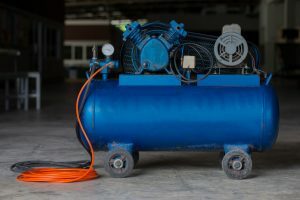 A new air compressor can cost thousands of dollars. If you keep it maintained, it could last you for many years, maximizing that original investment. Poorly maintained air compressors require more energy consumption because they have to work harder to function. With preventative maintenance, your air compressor will always be in optimal condition, ensuring maximum efficiency and reducing your energy costs. In the Bakersfield area, you can rely on NB Sales and Service for all of your air compressor maintenance needs. We offer a variety of preventative maintenance programs to suit your budget. Contact us today to learn more.